There are flavour combinations that can not fail. Veal with sage, Parma ham, white wine and cream is such a one. No wonder it’s a classic in Italian cuisine: it is known there under the name Involtini alla Romana, where involtini means roll. 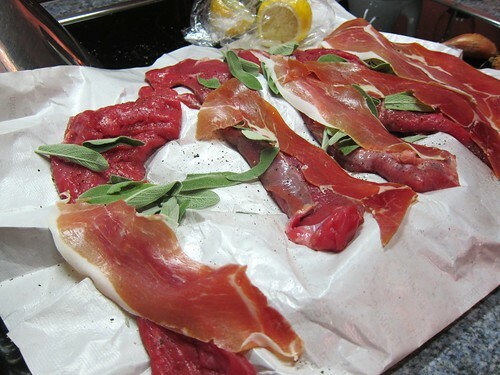 But a better known name for this combination of ingredients is Saltimbocca alla Romana. The main difference there is that the veal is laid out flat like a Schnitzel and not rolled.